A previous Physiopedia page titled Lower Limb Amputees and Low Back Pain addresses the epidemiology and aetiology of lower back pain (LBP) in the lower limb amputee population as well as some of the biomechanical and psychosocial elements that may cause or influence this pain.This page aims to provide an overview of possible physiotherapy interventions to decrease and manage LBP in amputees. 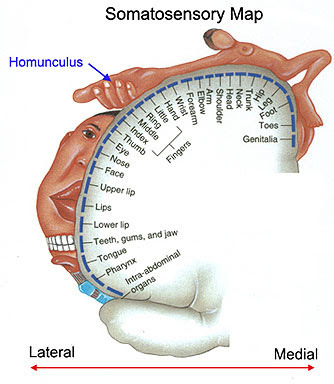 Limb amputations lead to a dramatic change in the biomechanical and neurophysiological relationships developed since birth. As common as LBP is in the general population, lower limb amputees (LLA) seem to be at even greater risk for back pain. This problem however is rarely studied post amputation. Back pain has been reported to affect 52% to 89.6% of lower-limb amputees  . This LBP can cause chronic disability . The chronic LPB in amputees is not said to have any correlation to the time since amputation . LBP could also be a pre-existing problem that surgery exacerbates. It may also occur as a result of prolonged bed rest post surgery but is more often encountered during the early rehabilitation phase during weight bearing on a prosthesis. Considerable bio-mechanical changes occur in the lower back and pelvis as a result of altered weight and force distribution and different muscle utilisation . The pain is more likely to impair the patient than the amputation itself . Marshall et al. found amputees with LBP have more disability than amputees without . Given the high incidence of back pain within the Western hemisphere however, a number of the population of people with amputation may have suffered from back pain regardless of limb loss  . A prosthesis is used to assist amputees with ambulation and the performance of activities of daily living. However, wearing an ill-fitting prosthesis can lead to complications affecting gait and activity level . Most amputees wear a prostheses for the majority of the day    . The presentation of at least one gait deviation is common in prosthesis users as a result of improper prosthetic fit or alignment, improper gait training, poor habit development, or as compensation for secondary physical limitations . Many amputees move the intact limb toward the midline while slightly increasing lower limb external rotation as a compensation during gait . They also tend to spend more time weight bearing on their intact limb in order to protect the amputated limb and to avoid putting too much weight through a prosthesis that they don’t trust   . This could be because of the prosthetic limb's lack of proprioception or pain secondary to infection, skin irritation, wounds or hypersensitivity . Following these changes, the amputee may face biomechanical changes including increased lumbar side flexion that could put pressure through joints and tissues, potentially resulting in LBP   . In contrast it has been shown that when a prosthetic limb fits correctly, forces acting through the intact limb of an amputee are no greater than the forces through that of a person without amputation  . There is evidence that not being able to wear a prosthesis can decrease the quality of life (QOL) of a patient, therefore potentially increasing the risk of yellow flags that could lead to depression and further influence chronic LBP . Further studies need to be done looking directly at the effect of prothetic alignment and back pain however . Muscle imbalances have been reported in amputees, included muscle strength and length imalances and reduced muscle endurance . In order to reach the degree of hip extension required for a normal step length, a compensatory anterior pelvic tilt has been described in amputees . Day et al. showed that those with maximal anterior tilt have a significantly increased depth of lumbar lordosis . An increased liklihood of back pain has been associated with this in amputees . These patients commonly present with tight back extensors and hip flexors and weak abdominals and hip extensor muscles. It is known that physical factors such as increased activity within the back muscles are closely related to psychosocial factors, as well as LBP . These muscle imbalances can also be caused by increased muscle tone which can arise as a result of stress . Muscle imbalances can be seen through atrophy of the amputated side and overactivity of the intact limb. Atrophy of hip joint muscles has been reported in above knee amputees including decreased strength of gluteus maximus, hamstrings and adductor magnus in comparison to the intact side . In below knee amputations, research has found a decreased quadriceps strength . Burke et al. was the first to report radiographic findings of the spine in people with LLA. They observed scoliosis in 43% of the subjects . Research has suggested that even slight leg length discrepency (LLD) can cause scoliosis in the lumbar region . As a compensation for postural changes and pain, an increased lateral pelvic tilt is often seen. This in turn can cause patients to side flex and rotate, potentially increasing chances of developing scoliosis . A scoliotic back shows significant muscular imbalances with muscles on one side of the curve being over stretched and the muscles on the other side being very tight . Many amputees experience a degree of leg length discrepancy (LLD) following amputation, which can cause pelvic malalignment, deformation of musculoskeletal structures and can in turn lead to LBP . Research has shown a significant association between a LLD of 6mm or more and LBP . Chronic pain is pain that has persisted for a period of a minimum of three months . Incidence is common after procedures that involve major nerve injury or transection, such as amputation . Neuropathic changes are traditionally associated with chronic pain, whereas acute pain has been considered as a protective nociceptive process . Chronic pain is considered to be a complex biopsychosocial condition and a long-term multidisciplinary approach to management may be required for many cases . Post surgery amputees often suffer from phantom limb pain and hyperanalgesia . An increased activity in the primary somatosensory cortex has been observed and the cortical representation of the back has been shown to shift towards a more medial position in amputees with chronic LBP. This suggests not only enhanced reactivity but might indicate an expansion of the back representation into the neighbouring foot and leg areas of the cortex . Ephraim et al. found that the reporting of back pain in amputees was more likely to be 'extremely bothersome' in depressed patients as oppsed to 'bothersome' in non-depressed patients. Therefore suggesting depression heightens pain interpretation . There is limited evidence comparing specific treatments for LBP in amputees. The following section will utilise the general research available on how some of the problems that may lead to LBP could be overcome within this population. There is evidence to suggest that physical activity in general, regardless of it's nature, is effective in reducing LBP . Sedentry behaviours such as sitting for long periods of time have been linked to LBP . It can therefore be advised that amputee patients spend minimal time sat in wheelchairs for example. A meta-analysis of 45 trials was conducted by Searle et al. comparing different exercise interventions and their effect on LBP. They looked at strengthening, resistance, stability, coordination and cardiorespiratory exercise . The CASP tool for reviews has been used to critically appraise the methodological quality of this study . The review did not use any unpublished RCTs. Some RCTs could not be translated into English and therefore were not included. There were variations in programme intensity and duration, ranging from 1.5 weeks to 18 weeks. The paper did not address other outcome measures such as quality of life (QOL), satisfaction and function. This may effect depression and psychosocial wellbeing, which could then have a carryover effect on reduction of pain . The results cannot be directly applied to amputees as the participants were fully able and healthy, ages ranging between 30 and 65 years of age (not necessarily generalisible to all amputees). The included studies were carried out in a variety of settings different to the environment the amputees may be in. The results show that exercise has a beneficial effect on chronic LBP when compared with other treatments. It is suggested that programs consisting of co-ordination, stabilisation, strength and resistance exercises significantly reduce LBP. It is stated that cardiorespiratory exercise has no effect on pain reduction. Only six out of forty five of the studies looked at cardiorespiratory exercise however. Moreover, LBP patients can have generally lower cardiovascular fitness and therefore may not have been able to tolerate training suggested by American College of Sports Medicine (ACSM) guidelines. This may be a reason why the programmes were not effective. Other evidence suggests that cardiovascular exercise can decrease depression which therefore may have a carryover effect on to pain . A further meta-analysis showed short term effects on reduction of LBP in favour of core stability exercises in comparison to general exercises, however these improvements were not carried over long term . It has been recomended in the literature that strength training should be undertaken regularly in order to avoid losing limb strength following amputaion, it's been suggested that a strengthening programme that targets both the residual and the intact limb be prescribed to this population. Nolan et al. stated that training twice a week for 10 weeks is sufficient to significantly improve hip strength in LLA, therefore decreasing stress on the back . A study conducted by Tomanova et al. looked at specific exercise for lower back pain. This study found that application of the INFINITY was most effective. The Infinity method is a special rehabilitation method which focuses on stabilization and strengthening of trunk muscles, dorsal and abdominal muscles, including the deep stabilisation system closely linked with diaphragmatic breathing. It activates subconscious and conscious setting of the postural system of the body, efficiently involves the stabilisation system of the spine. The method improves stabilisation, centralisation, postural correction of the body, distribution of weight on the foot soles and improves the position of the centre of force . Due to the high prevalence of postural changes in LLA patients, this could be an effective exercise option of the clinician feels that postural deficits are the cause of the patients LBP. Traditionally it was suggested that trunk exercises for LLAs helps with the prevention of scoliosis development . More recently, a good quality Cochrane review proposed that exercise therapy alone has no benefit in scoliosis. This study however was carried out on adolescents which may not be generalisible to all patients. A recent systematic review showed no evidence to support osteopathic manual therapy in the treatment of scoliosis in fully abled patients . In 1957 Electrostimulation was first introduced to scoliosis treatment and was thought to increase activity at the paravertebral muscles at the convexity of the scoliosic curves, however this theory has since been challanged by recent research . Still, literature is conflicting regarding the topic. Bracing may be effective when treating progressive thoracolumbar scoliosis . Recommended guidelines for use state that the brace should be worn for 23 hours a day . Bracing can be used to facilitate a degree of sitting balance . Balance impairments resulting in decreased function are common within LLA population. Despite individual RCT’s favouring the use of bracing as a treatment for scoliosis, a systematic review by Plaszewski and Saltikov found that the most studies favouring bracing and physiotherapy management on the whole lacked a great deal of methodological quality . There is a possibility that these treatments may benefit amputees with a scoliosis, although further research is needed. Following the potential that amputees may have increased anterior pelvic leading to LBP, it may be beneficial to strengthen around the core and pelvis. Treatments can include gluteal bridges, activating gluteus maximus, hamstrings and erector spinae. A paper by Choi et al., showed a significant difference in the anterior pelvic tilt angle between isometric hip abduction using thera-band compared to without thera-band. The results were in favour of theraband use . Some examples of amutee hip and core stability execises can be viewed at the bottom of this page. A study conducted by Gawda et al. looked at the influence of stretching on postural control. They concluded that restrictions within the musculoskeletal system can cause disorders in muscle synergies and that stretching improves the range of motion within the spine and in turn, reduces pain . In addition, it is suggested that stretching is a beneficial treatment for tight hip flexors, which can coexist with LBP . The implementation of cognitive coping strategies has a mediating effect on pain and depression  . CBT has been sucessfully used in the treatment of chronic LBP and it can be helpful in treating pain or improving compliance with care, effecting the perception of pain . It has also been shown to have an effect on chronic LBP disability by reducing psychological factors such as catastrophising, distress, fear and self efficacy . In addition, exercise has been shown to produce changes in catastrophisation of pain . It appears to be as successful as CBT at addressing these factors . A meta-analysis by Milne et al. says TENS should not be used alone to treat chronic LBP . The NICE guidelines for the management of general LBP also advise not to use TENS alone . However research by Neil et al. on the pain management of amputees suggests the use of TENS is effective . Unfortunately no evidence is given to show it’s clinical effectiveness in terms of outcome measures. An overview of seventeen systematic reviews on the use of acupuncture to treat LBP found that acupuncture was more effective when compared with a no treatment or sham acupuncture. It also indicated that acupuncture plus an intervention is more effective than any other intervention alone. It states that frequency and needle placement needs to be stadardised in future treatment and research . Neil et al. suggests the use of acupuncture on amputees with LBP but again does not show statistical evidence of it's effects . There is insufficient evidence for the treatment for LBP in lower limb amputees. Therefore in order to formulate a clinical bottom line, a consented video interview was conducted with Chris Walker, a senior Physiotherapist at Nottingham City Hospital Mobility Centre (see bottom of page). In the clinician's opinion, LBP in amputees is often treated and assessed in a similar way to able bodied patients. Gaining a thorough subjective history is fundamental in establishing the root cause of the pain. Although the circumstances in which the pain arises can vary, the principles of assessment do not change. Objectively, analysis of patient gait and sitting posture can help to establish the main issues causing the LBP. Assessment should also consider musculoskeletal, neurological and psychosocial factors. Prosthesis fitting can significantly influence biomechanics. Liaison with Occupational Therapy and Orthotics to make sure prosthetic limbs are fitted correctly is paramount if problems are suspected. If the patient mobilises with a walking aid, gait (with the aid) should always be assessed in order to rule out incorrect use that could influence LBP. A combination of education, physical activity and specific exercises in conjunction with TENS or accupuncture may be appropriate to reduce LBP. This may help prevent deconditioning, pain and imbalance. Swimming or hydrotherapy is often effective in strengthening, relaxing, reducing pain and encouraging general fitness according to the clinican. According to the clinican patients should avoid prolonged sitting. If the patient is unable to stand for long periods of time, regular transfers are advised. The importance of quality of movement was also stressed, encouraging pacing and gradual exposure. Maintaining maximal function and encouraging patients to have a open minded, positive attitude towards treatment and life in general following amputation is key to their individual progress. ↑ Mark LL, Latash S. Neurophysiological basis of movement. Illinois: Human Kinetics. 1998:81-97. ↑ Ehde DM, Czerniecki JM, Smith DG, Campbell KM, Edwards WT, Jensen MP, Robinson LR. Chronic phantom sensations, phantom pain, residual limb pain, and other regional pain after lower limb amputation. Archives of physical medicine and rehabilitation. 2000 Aug 31;81(8):1039-44. ↑ Kulkarni J, Gaine WJ, Buckley JG, Rankine JJ, Adams J. Chronic low back pain in traumatic lower limb amputees. Clinical Rehabilitation. 2005 Jan 1;19(1):81-6. 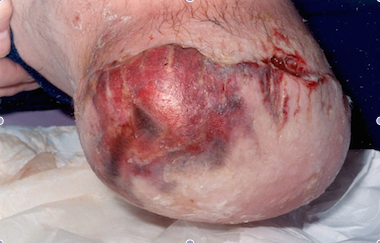 ↑ 4.0 4.1 4.2 4.3 Gailey R, Allen K, Castles J, Kucharik J, Roeder M. Review of secondary physical conditions associated with lower-limb amputation and long-term prosthesis use. Journal of rehabilitation research and development. 2008 Jan 1;45(1):15. ↑ Ephraim PL, Wegener ST, MacKenzie EJ, Dillingham TR, Pezzin LE. Phantom pain, residual limb pain, and back pain in amputees: results of a national survey. Archives of physical medicine and rehabilitation. 2005 Oct 31;86(10):1910-9. ↑ 6.0 6.1 6.2 Neil MJ. Pain after amputation. BJA Education. 2015 Jun 23:mkv028. ↑ Marshall HM, Jensen MP, Ehde DM, Campbell KM. Pain site and impairment in individuals with amputation pain. Archives of physical medicine and rehabilitation. 2002 Aug 31;83(8):1116-9. ↑ Marshall M, Helmes E, Deathe AB. A comparison of psychosocial functioning and personality in amputee and chronic pain populations. The Clinical journal of pain. 1992 Dec;8(4):351-7. ↑ Sherman RA. Utilization of prostheses among US veterans with traumatic amputation: a pilot survey. Journal of rehabilitation research and development. 1999 Apr 1;36(2):100-8. ↑ Pohjolainen T, Alaranta H, Kärkäinen M. Prosthetic use and functional and social outcome following major lower limb amputation. Prosthetics and orthotics international. 1990;14(2):75-9. ↑ Walker CR, Ingram RR, Hullin MG, McCreath SW. Lower limb amputation following injury: a survey of long-term functional outcome. Injury. 1994 Aug 31;25(6):387-92. ↑ Jones ME, Steel JR, Bashford GM, Davidson IR. Static versus dynamic prosthetic weight bearing in elderly trans-tibial amputees. Prosthetics and orthotics international. 1997 Jan 1;21(2):100-6. ↑ Burger H, Marincek CR, Isakov E. Mobility of persons after traumatic lower limb amputation. Disability & Rehabilitation. 1997;19(7):272-7. ↑ 14.0 14.1 Nolan L, Wit A, Dudziñski K, Lees A, Lake M, Wychowañski M. Adjustments in gait symmetry with walking speed in trans-femoral and trans-tibial amputees. Gait & posture. 2003 Apr 30;17(2):142-51. ↑ Engsberg JR, Herbert LM, Grimston SK, Fung TS, Harder JA. Relation among indices of effort and oxygen uptake in below-knee amputee and able-bodied children. Archives of physical medicine and rehabilitation. 1994 Dec;75(12):1335-41. ↑ Silver-Thorn MB, Steege JW, Childress DS. A review of prosthetic interface stress investigations. Journal of rehabilitation research and development. 1996 Jul 1;33:253-66. ↑ Murray MP, Mollinger LA, Sepic SB, Gardner GM, Linder MT. Gait patterns in above-knee amputee patients: hydraulic swing control vs constant-friction knee components. Archives of physical medicine and rehabilitation. 1983 Aug;64(8):339-45. ↑ Engsberg JR, Lee AG, Tedford KG, Harder JA. Normative ground reaction force data for able-bodied and trans-tibial amputee children during running. Prosthetics and orthotics international. 1993 Aug 1;17(2):83-9. ↑ Radin EL, Parker HG, Pugh JW, Steinberg RS, Paul IL, Rose RM. Response of joints to impact loading—III: Relationship between trabecular microfractures and cartilage degeneration. Journal of biomechanics. 1973 Jan 31;6(1):51-7. ↑ Hurwitz DE, Sumner DR, Block JA. Bone density, dynamic joint loading and joint degeneration. Cells Tissues Organs. 2001;169(3):201-9. ↑ Gaunaurd I, Gailey R, Hafner BJ, Gomez-Marin O, Kirk-Sanchez N. Postural asymmetries in transfemoral amputees. Prosthetics and orthotics international. 2011 Jun 1;35(2):171-80. ↑ Hurley GR, McKenney R, Robinson M, Zadravec M, Pierrynowski MR. The role of the contralateral limb in below-knee amputee gait. Prosthetics and orthotics international. 1990;14(1):33-42. ↑ Eberhart HD, Elftman H, Inman VT. The locomotor mechanism of the amputee. 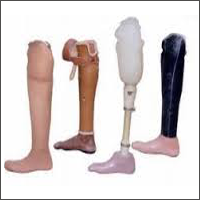 Human limbs and their substitutes: Presenting results of engineering and medical studies of the human extremities and application of the data to the design and fitting of artificial limbs and to the care and training of amputees. New York (NY): McGraw-Hill. 1954. ↑ 25.0 25.1 Ephraim PL, Wegener ST, MacKenzie EJ, Dillingham TR, Pezzin LE. Phantom pain, residual limb pain, and back pain in amputees: results of a national survey. Archives of physical medicine and rehabilitation. 2005 Oct 31;86(10):1910-9. ↑ 27.0 27.1 Friel K, Domholdt E, Smith DG. Physical and functional measures related to low back pain in individuals with lower-limb amputation: an exploratory pilot study. J Rehabil Res Dev. 2005 Mar 1;42(2):155-66. ↑ Hampton FL. Prosthetic principles in the lower extremity amputee. The Orthopedic clinics of North America. 1972 Jul;3(2):339-47. ↑ Day JW, Smidt GL, Lehmann T. Effect of pelvic tilt on standing posture. Physical Therapy. 1984 Apr 1;64(4):510-6. ↑ Morgenroth DC, Orendurff MS, Shakir A, Segal A, Shofer J, Czerniecki JM. The relationship between lumbar spine kinematics during gait and low-back pain in transfemoral amputees. American Journal of Physical Medicine & Rehabilitation. 2010 Aug 1;89(8):635-43. ↑ Lewis GN, Rice DA, McNair PJ. Conditioned pain modulation in populations with chronic pain: a systematic review and meta-analysis. The Journal of Pain. 2012 Oct 31;13(10):936-44. ↑ Norris CM. Spinal stabilisation: 3. Stabilisation mechanisms of the lumbar spine. Physiotherapy. 1995 Feb 28;81(2):72-9. ↑ Jaegers SM, Arendzen JH, de Jongh HJ. 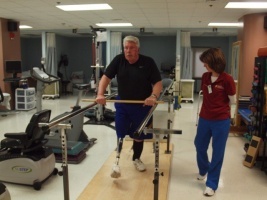 Prosthetic gait of unilateral transfemoral amputees: a kinematic study. Archives of physical medicine and rehabilitation. 1995 Aug 31;76(8):736-43. ↑ Sherk VD, Bemben MG, Bemben DA. Interlimb muscle and fat comparisons in persons with lower-limb amputation. Archives of physical medicine and rehabilitation. 2010 Jul 31;91(7):1077-81. ↑ Burke MJ, Roman V, Wright V. Bone and joint changes in lower limb amputees. Annals of the rheumatic diseases. 1978 Jun 1;37(3):252-4. ↑ Friberg O. Biomechanical significance of the correct length of lower limb prostheses: a clinical and radiological study. Prosthetics and orthotics international. 1984;8(3):124-9. ↑ Meier III R. Amputee Rehabilitation, An Issue of Physical Medicine and Rehabilitation Clinics of North America. Elsevier Health Sciences; 2014 Feb 7. ↑ Hawes MC. The use of exercises in the treatment of scoliosis: an evidence-based critical review of the literature. Developmental Neurorehabilitation. 2003 Jul;6(3-4):171-82. ↑ Rannisto S, Okuloff A, Uitti J, Paananen M, Rannisto PH, Malmivaara A, Karppinen J. Leg-length discrepancy is associated with low back pain among those who must stand while working. BMC musculoskeletal disorders. 2015 May 7;16(1):110. ↑ Merskey H, Bogduk N. Classification of chronic pain, IASP Task Force on Taxonomy. Seattle, WA: International Association for the Study of Pain Press. (Also available online at www. iasp-pain. org). 1994. ↑ 42.0 42.1 Humble SR, Dalton AJ, Li L. A systematic review of therapeutic interventions to reduce acute and chronic post‐surgical pain after amputation, thoracotomy or mastectomy. European Journal of Pain. 2015 Apr 1;19(4):451-65. ↑ Dworkin RH, O’connor AB, Backonja M, Farrar JT, Finnerup NB, Jensen TS, Kalso EA, Loeser JD, Miaskowski C, Nurmikko TJ, Portenoy RK. Pharmacologic management of neuropathic pain: evidence-based recommendations. Pain. 2007 Dec 5;132(3):237-51. ↑ Labeeb AA, Casale R. Treatment of phantom pain with contralateral injection into tender points: a new method of treatment. Egyptian Rheumatology and Rehabilitation. 2015 Jul 1;42(3):103. ↑ Flor H, Braun C, Elbert T, Birbaumer N. Extensive reorganization of primary somatosensory cortex in chronic back pain patients. Neuroscience letters. 1997 Mar 7;224(1):5-8. ↑ Picavet HS, Vlaeyen JW, Schouten JS. Pain catastrophizing and kinesiophobia: predictors of chronic low back pain. American journal of epidemiology. 2002 Dec 1;156(11):1028-34. ↑ Whyte A, Carroll LJ. The relationship between catastrophizing and disability in amputees experiencing phantom pain. Disability & Rehabilitation. 2004 Jun 3;26(11):649-54. ↑ Miller WC, Speechley M, Deathe B. The prevalence and risk factors of falling and fear of falling among lower extremity amputees. Archives of physical medicine and rehabilitation. 2001 Aug 31;82(8):1031-7. ↑ Mckechnie PS, John A. Anxiety and depression following traumatic limb amputation: A systematic review. Injury. 2014 Dec 31;45(12):1859-66. ↑ Zidarov D, Swaine B, Gauthier-Gagnon C. Life habits and prosthetic profile of persons with lower-limb amputation during rehabilitation and at 3-month follow-up. Archives of physical medicine and rehabilitation. 2009 Nov 30;90(11):1953-9. ↑ Faas A. Exercises: which ones are worth trying, for which patients, and when?. Spine. 1996 Dec 15;21(24):2874-8. ↑ Lynch BM, Owen N. Too much sitting and chronic disease risk: steps to move the science forward. Annals of internal medicine. 2015 Jan 20;162(2):146-7. ↑ Searle A, Spink M, Ho A, Chuter V. Exercise interventions for the treatment of chronic low back pain: A systematic review and meta-analysis of randomised controlled trials. Clinical rehabilitation. 2015 Feb 13:0269215515570379. ↑ 56.0 56.1 Hurri H, Mellin G, Korhonen O, Harjula R, Härkäpää K, Luoma J. Aerobic capacity among chronic low-back-pain patients. Journal of spinal disorders. 1991 Mar;4(1):34-8. ↑ Wang XQ, Zheng JJ, Yu ZW, Bi X, Lou SJ, Liu J, Cai B, Hua YH, Wu M, Wei ML, Shen HM. A meta-analysis of core stability exercise versus general exercise for chronic low back pain. PloS one. 2012 Dec 17;7(12):e52082. ↑ Tomanova M, Lippert-Grüner M, Lhotska L. Specific rehabilitation exercise for the treatment of patients with chronic low back pain. Journal of physical therapy science. 2015 Aug;27(8):2413. ↑ Stolov WC, Clowers MR. Handbook of Severe Disability: A Text for Rehabilitation Counselors. Other Vocational Practitioners, and Allied Health Professionals. 1981. ↑ 61.0 61.1 Płaszewski M, Bettany-Saltikov J. Are current scoliosis school screening recommendations evidence-based and up to date? A best evidence synthesis umbrella review. European Spine Journal. 2014 Dec 1;23(12):2572-85. ↑ Barrios C, Lapuente JP, Sastre S. Treatment of chronic pain in adult scoliosis. Studies in health technology and informatics. 2002:290-303. ↑ Frontera, W., Silver, J. and Rizzo, T. Essentials of physical medicine and rehabilitation. (1st ed). 2015. ↑ Allam, A.M, Schwarbe`, A.L. Neuromuscular Scoliosis. PM&R. 2015;5(11): . ↑ Choi SA, Cynn HS, Yi CH, Kwon OY, Yoon TL, Choi WJ, Lee JH. Isometric hip abduction using a Thera-Band alters gluteus maximus muscle activity and the anterior pelvic tilt angle during bridging exercise. Journal of Electromyography and Kinesiology. 2015 Apr 30;25(2):310-5. ↑ Gawda P, Dmoszyńska-Graniczka M, Pawlak H, Cybulski M, Kiełbus M, Majcher P, Buczaj A, Buczaj M. Evaluation of influence of stretching therapy and ergonomic factors on postural control in patients with chronic non-specific low back pain. Annals of agricultural and environmental medicine: AAEM. 2015 Feb;22(1):142-6. ↑ Cooper G. Exercises for Lower Back Pain. InNon-Operative Treatment of the Lumbar Spine 2015 (pp. 85-87). Springer International Publishing. ↑ Hülsebusch J, Hasenbring MI, Rusu AC. Understanding Pain and Depression in Back Pain: the Role of Catastrophizing, Help-/Hopelessness, and Thought Suppression as Potential Mediators. International journal of behavioral medicine. 2015 Nov 20:1-9. ↑ Hashmi JA, Baliki MN, Huang L, Baria AT, Torbey S, Hermann KM, Schnitzer TJ, Apkarian AV. Shape shifting pain: chronification of back pain shifts brain representation from nociceptive to emotional circuits. Brain. 2013 Sep 1;136(9):2751-68. ↑ Leeuw M, Houben RM, Severeijns R, Picavet HS, Schouten EG, Vlaeyen JW. Pain-related fear in low back pain: a prospective study in the general population. European Journal of Pain. 2007 Apr 30;11(3):256-66. ↑ Smeets RJ, Vlaeyen JW, Kester AD, Knottnerus JA. Reduction of pain catastrophizing mediates the outcome of both physical and cognitive-behavioral treatment in chronic low back pain. The Journal of Pain. 2006 Apr 30;7(4):261-71. ↑ Mannion AF, Junge A, Taimela S, Müntener M, Lorenzo K, Dvorak J. Active therapy for chronic low back pain: part 3. Factors influencing self-rated disability and its change following therapy. Spine. 2001 Apr 15;26(8):920-9. ↑ Milne S, Welch V, Brosseau L, Saginur M, Shea B, Tugwell P, Wells G. Transcutaneous electrical nerve stimulation (TENS) for chronic low‐back pain. The Cochrane Library. 2004. ↑ Savigny P, Watson P, Underwood M. Early management of persistent non-specific low back pain: summary of NICE guidance. BMJ. 2009 Jun 4;338. ↑ Zeng Y, Chung JW. Acupuncture for chronic nonspecific low back pain: An overview of systematic reviews. European Journal of Integrative Medicine. 2015 Apr 30;7(2):94-107.